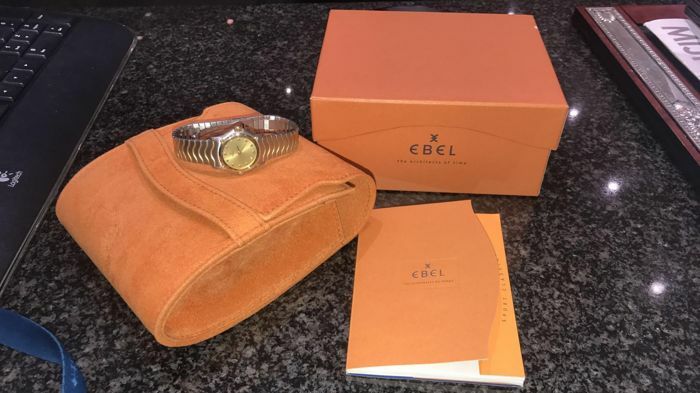 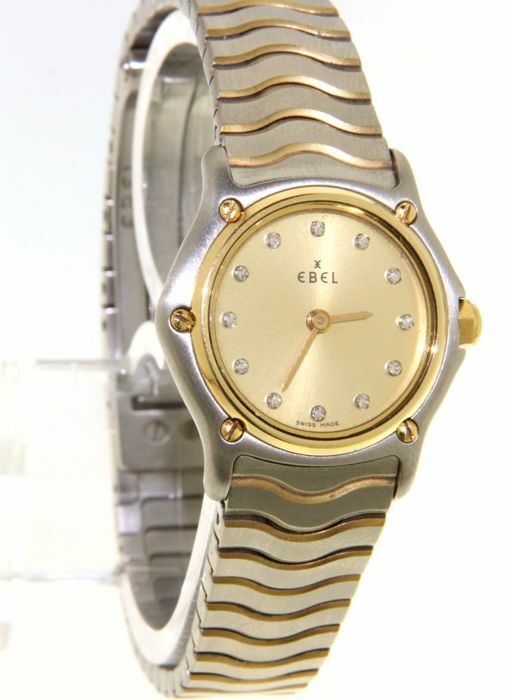 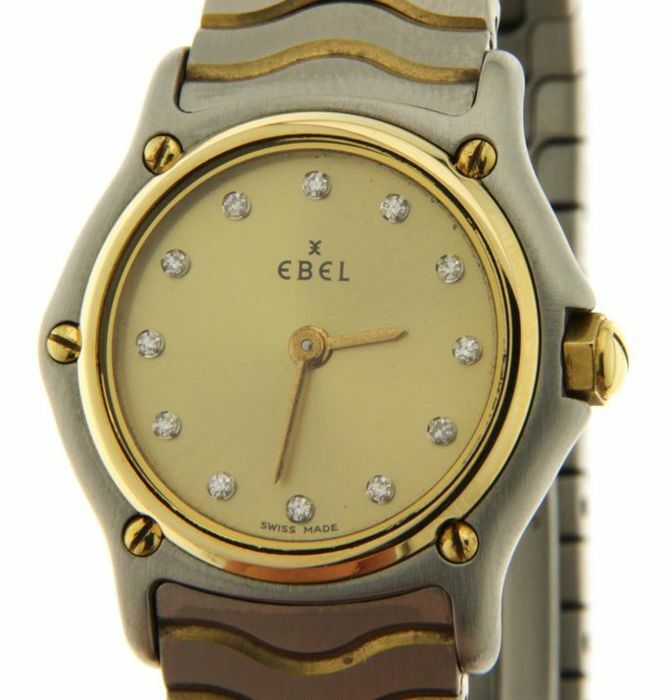 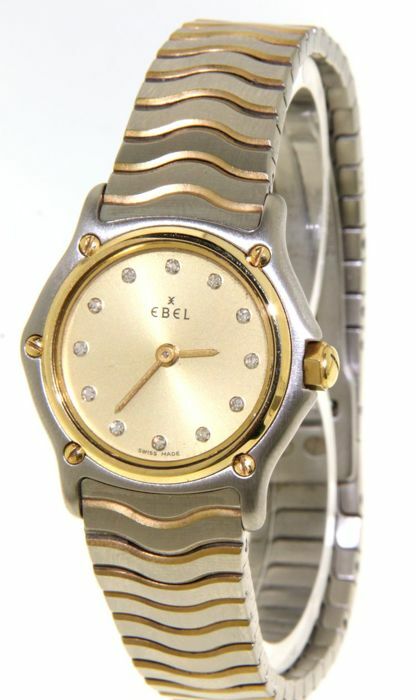 Ebel Wave 18 kt yellow gold and stainless with diamonds. 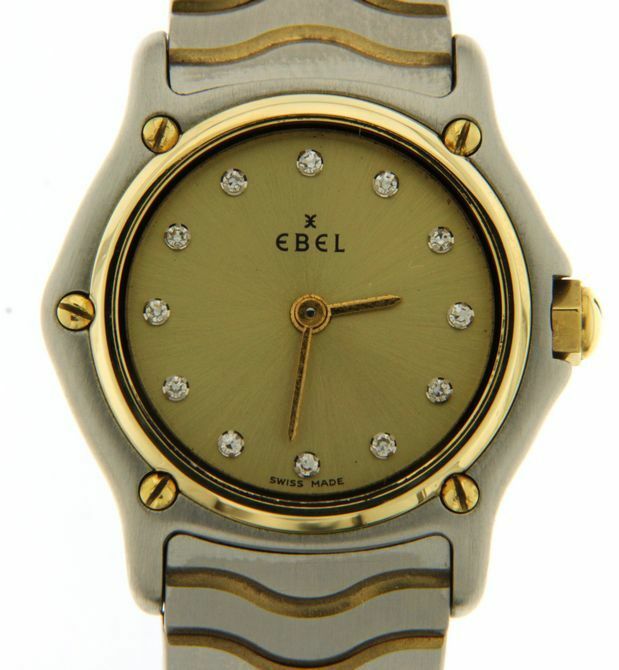 Case : Stainless steel and 18 kt yellow gold, 24 mm diameter , 5.1mm thickness and sapphire glass. 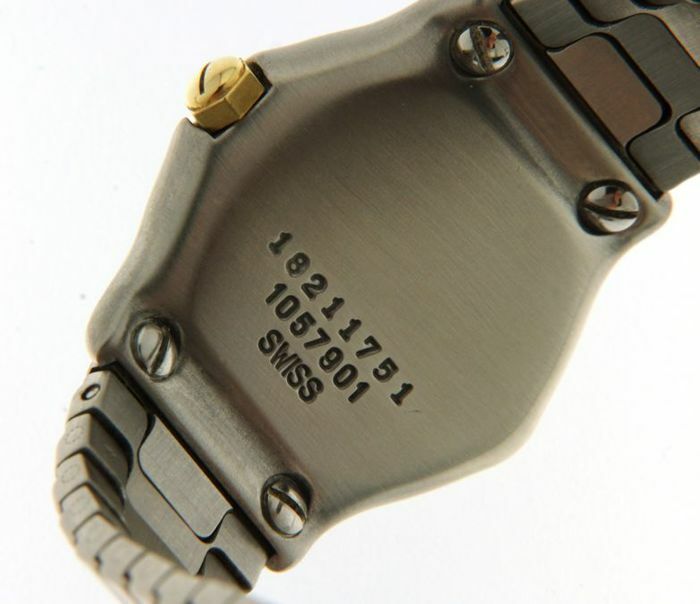 Dial : gold with dialond inxes. 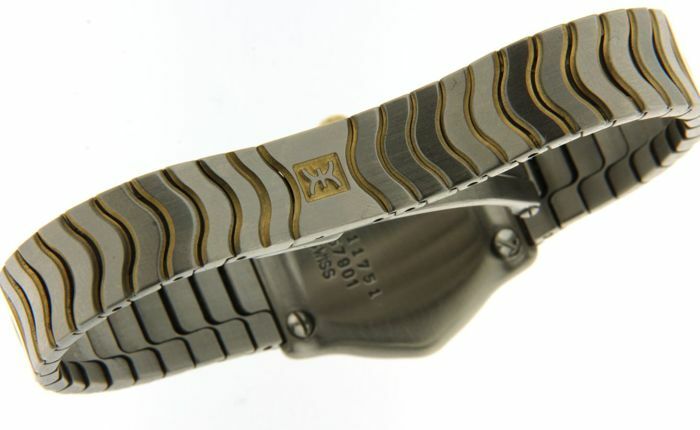 Band : 18 kt yellow gold and steel , folding clasp , 15 cm wide.